Pokemon Cloud White 3 is the sequel of Pokemon Cloud White1 & 2, game based on the original fire red story and his sequel. However, this game is accessible for those who haven’t played Pokemon Cloud White or Cloud White 2. 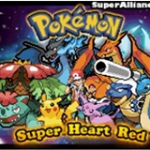 Pokemon Super Heart Red is a Spanish hack of Pokemon FireRed in 2017. The world of Kanto Region appears in front of our eyes one more time. 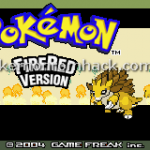 Pokemon Desert is an enhanced version of Pokemon Fire Red that we’ve played before. Maybe you should figure it out. It has been created by 777ID777 and it is a good fan-made game. 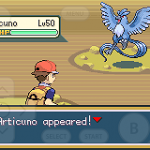 Pokemon Mega Origins is a Pokemon fan game which was made from Pokemon Fire Red. It is the first entry of its author to the marvelous Pokemon world. Pokemon SpawnXtreme : Sometimes, just from a close friend and we can create something big – something great. 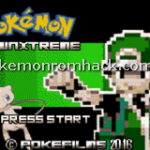 Pokemon SpawnXtreme is a hack of Pokemon Fire Red and it was created like that, from a friend of the author. 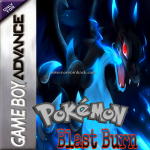 Pokemon Blast Burn is a modern upgrade based on Pokemon Fire Red. With many advancements in graphics, soundtracks, mechanics… it is a good hack. This hack takes players to a new region which has never be seen before. Pokemon Mega Locke is good and worth giving a try. It is not like the others, but much more different. At first, let’s come to the story to know more. 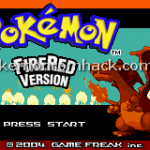 Pokemon FireRed VR Missions : After testing Pokemon FireRed VR Missions – another version of Pokemon fan-made game on PC, I can see that this game is worth playing.